Our motto in Sarasota Florida is "Where Urban Amenities Meet Small-Town Living!” and The Founders Club welcomes that motto with 700 acres of beautifully landscaped acres and gorgeous luxury custom homes located moments away from award-winning beaches, high-end and boutique shopping, fine dining, and a culturally-rich downtown area. 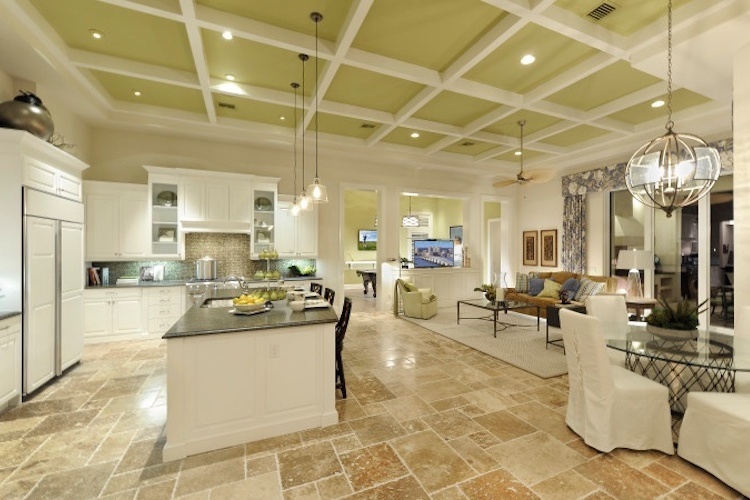 With a setting fit for luxury living, many homeowners design their custom homes to embody the Sarasota Florida lifestyle while creating a unique space that reflects their personalities. Read on to see how you can design your home to be the perfect environment for relaxation, style, and Sarasota living. The diversity of our Sunshine State allows for a plethora of exterior styles, including Contemporary, Mediterranean, and Spanish homes, but the style that is most often referred to when discussing ideal Florida architecture is West Indies. This is more than likely because of the casual and open feel associated with the architectural design and the way it allows homeowners to soak up the rich tropical sunshine and refreshing coastal breezes we experience year round. In a West Indies home, you’ll more than likely come across many architectural details that let in natural light and fresh air - two things we get a lot of on the coast of Florida. For example, a cupola is a small dome on top of a larger dome on the roof or ceiling that provides an entrance for sunshine and warm breezes. Louvers on your home also let in air and light as these blinds/shutters are designed with horizontal slats strategically angled to do so, while also blocking out rain, direct sunshine, and exterior noise. Of course if your home is going to be seaside in location or design, Bermuda-style shutters are a must-have as they are key in the overall look of a West Indies-inspired home. Other architectural details to include in your West Indies home are large transom windows that let in ample light and allow you to take in the beautiful views from your luxury home and a large outdoor living space - with quick access from the inside of the home - to enjoy al fresco dining and long afternoons lounging by the pool. A great example of the West Indies architectural style is the Isabella Two-Story model home at The Founders Club (pictured above). This estate home is an expanded version of one of London Bay Homes’ most popular floor plans: the Isabella. It features four bedrooms and five bathrooms in 4,265 square feet of living space and 6,353 total square feet. 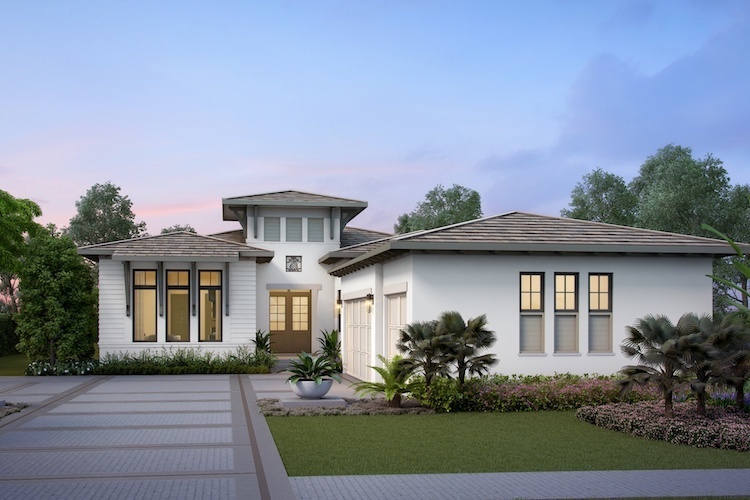 It offers a cupola, louvers, and decorative Bermuda-style shutters and rafters and still takes advantage of the expansive outdoor living space that made the original floor plan so popular. 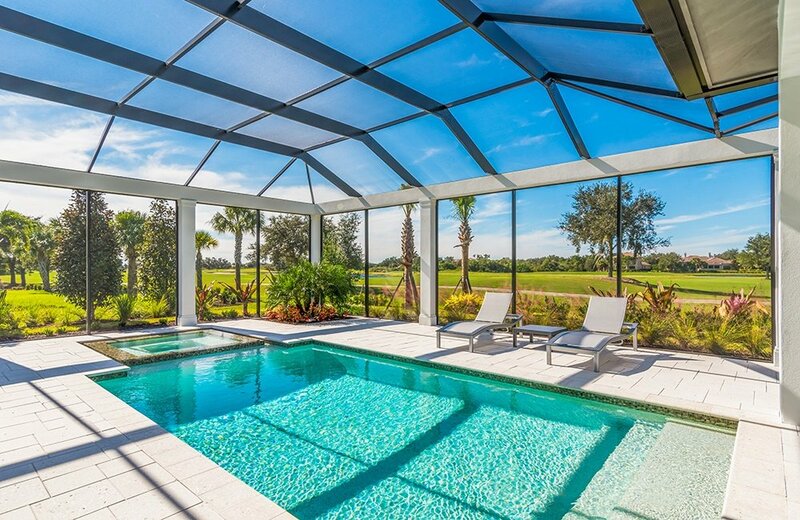 You’ll be able to spend your days by the relaxing resort-style pool with large sun shelf and raised spa while taking in views of majestic oaks and a lake. 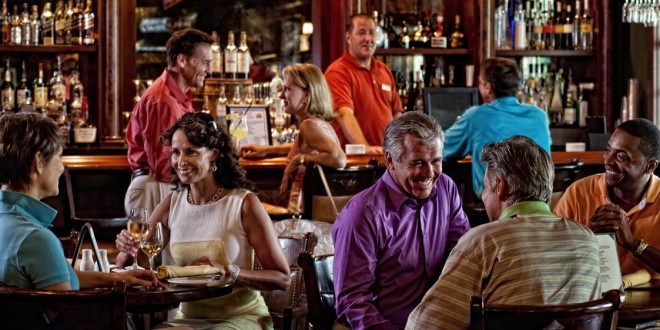 You can also take advantage of the gorgeous weather of Sarasota Florida from the covered balcony on the second floor. Schedule your tour of the Isabella Two-Story. One of the most popular interior design styles for a Florida home is beach-inspired with soft blues and tans reminiscent of the water and sand on our Gulf of Mexico beaches. A homeowner can achieve a classy and casual coastal design with the use of neutral colors like white, beige, cream and browns, as well as pale blues and greens. These colors are not the only options for a coastal design, but they are important in achieving the beachy look. Another important factor for the coastal style is the use of natural fibers, light weathered wood, and crisp clean fabrics. Think cotton rugs, sheers, and linen with wood floors reminiscent of a boardwalk. Sheer or light curtains are great for allowing natural light into the home, a key element in a beach-inspired design. If you’re feeling fun, you can also incorporate nautical-inspired details like anchors or knots, or even include a jar full of seashells or a decorative glass starfish on a shelf. Just be careful and don’t go overboard with the accessories. You want your home to feel like the beach and you can easily achieve it in a classy way with a subtle beach theme, like the one in the Belita model home at The Founders Club. The Belita is a semi-furnished home that features three bedrooms, three bathrooms, and a study in its 3,091 square feet under air. The open floor plan design allows for an airy feel throughout the home as it leads to the outdoor living area with a sparkling pool with a sun shelf and a summer kitchen with a professional grade grill and organic insect repellent system. The outdoor space overlooks an abundance of Oak Hammocks and the front of the home has a view of a lake. Romanza Interior Design fully-furnished this home’s great room, formal dining room, breakfast nook, and outdoor living areas with a beach-inspired theme. The charming cottage-style home features a neutral palette of browns, tans, and creams with powder blue and green accents throughout. There is ivory-toned tile flooring set in a running-board pattern in the great room and naturally aged eucalyptus flooring with a river rock finish in the study. Schedule your tour of the Belita. 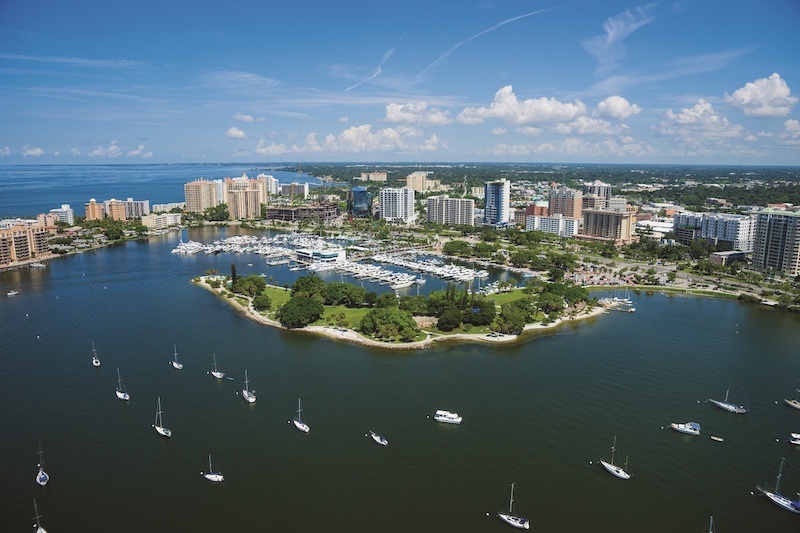 Aside from a perfectly balanced architectural design and interior design, the best way to embrace the Sarasota Florida lifestyle is to live it. 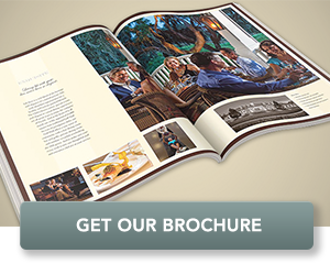 At The Founders Club, we are just moments from the dining, entertainment, and culture that make Sarasota so special, but are situated far enough away that you can remove yourself from the hustle and bustle of city life to appreciate the sounds of nature. 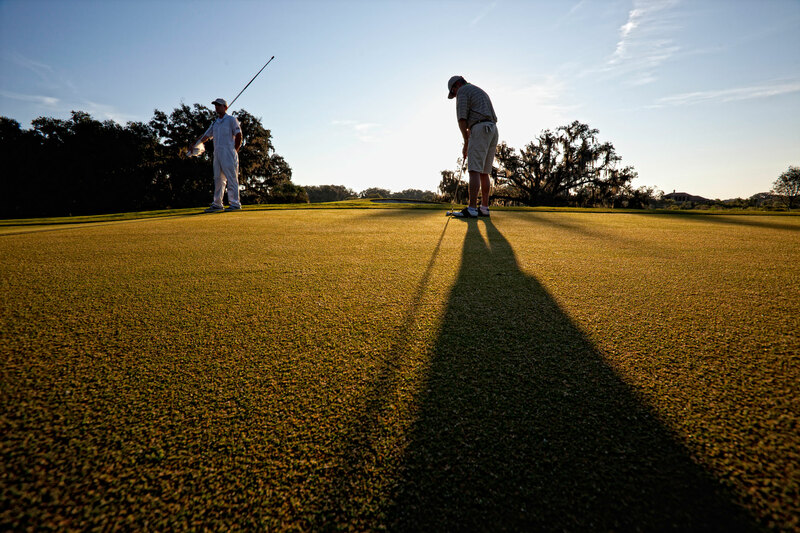 Our recently renovated 24,000 square foot Golf Hall offers a full calendar of social events and we are proud to enjoy a heightened sense of community all year round due to the friendly residents in our community.